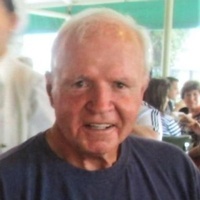 Lee “Jay” Cormier, Jr., 70, of Gulf Breeze, FL peacefully passed away Monday, April 1, 2019. Jay was born in Opelousas, LA on October 1, 1948 to Lee and Frances Cormier. He attended St. Landry Parish Schools where he excelled in baseball and football. His academic and athletic skills earned him a scholarship to the University of Louisiana Lafayette where he earned a bachelor’s degree in Marketing then going on to earn a master’s degree (MBA) at Nicholl’s State University. His passion was coaching, and Jay became “Coach Cormier” for the next 40 years. His coaching career started in Louisiana at Fatima High in Lafayette to Holy Cross in New Orleans. From there, Jay was recruited back to Opelousas as head football coach at Belmont Academy, then Defensive Coordinator at Carenco High and eventually the Head Football Coach and Athletic Director at Opelousas High School. After 20 years in Louisiana, Jay and his family moved to the Florida panhandle where he coached at Milton High as well as Woodham and Washington High School in Pensacola. He continued coaching football in addition to taking the helm of Track and Field programs at Woodham then Washington High School. At Woodham he won nine consecutive championships and captured the Florida State Track and Field Championship in 2000. That earned him the honor of being named Florida’s Track and Field Coach of the year. The results at Washington were just as impressive. He felt his greatest achievement was having the privilege to coach every athlete throughout his career. He was proud of all of them from High School, to College, The NFL, to a decorated Olympian and World Champion. He was thankful for the chance to be part of their lives. Every coaching staff was special to him. His love for his church, family, friends, New Orleans Saints, LSU, Louisiana Lafayette, University of South Carolina, running, biking, swimming, golf, and music is what made him the extraordinary person he was to so many. Jay is preceded in death by his parents, Lee and Frances Cormier; two brothers, Thomas “Skip” Cormier and Coleman Cormier. He is survived by his wife of 46 years, Jane Alice Cormier; daughter, Leslee Frances Cormier; son, Jay Kyle Cormier; sister, Genie Cormier Belote (Al); granddaughters, Avery and Reagan Flowers; nephews, Coleman Cormier (Amanda), Jeff Singley (Necole) and Chris Singley (Shannon); nieces, Evan, Rachael, Michelle and Natalie; sister-in-law, Jean Knight (Andy); brothers-in-law, George Pertuit (Adana) and Jack Pertuit (Sonya); four great-nieces and one great-nephew; as well as so many friends Jay and his wife will forever be grateful for. Jay fought a courageous battle with Parkinson’s disease for 12 years. He ran a great race! The family would like to thank everyone who cared for and loved him. Visitation will be held 10:30am until a Funeral Mass to begin 11:00am Tuesday, April 9, 2019 at St. Ann Catholic Church, Gulf Breeze, FL with Msgr. Luke Hunt celebrant. A reception will follow in the Parish Hall. Burial will be in New Orleans where Jay met and married his wife. In lieu of flowers, please donate to the Michael J. Fox Foundation for Parkinson’s Research. Athletic Network Footnote Provided by Dr. Ed Dugas. Appreciation is expressed to teammate Bo Kleinpeter who provide information on Jay's passing and obituary. Please click here for the 1969 Football photo gallery to view Jay and his teammates. Please click here for the Harper-Morris Memorial Chapel.